Photoshop is full of shortcuts and tricks. Even professionals discover something new from time to time, and get surprised how come they didn’t know it before. 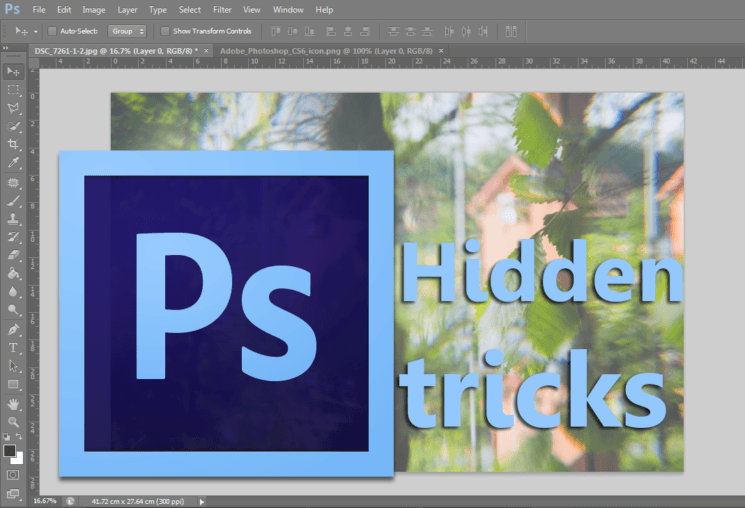 Colin Smith from Photoshop Cafe shares seven tricks hidden in Photoshop’s interface, and some of them are hidden in a specific way: in plain sight. These features have been in front of your face all along, but you may not have noticed them. As Colin himself says, these aren’t “Photoshop hacks,” but “engineered tools and settings that make your life easier. They will save you time and give you the information you need while working in Photoshop every day.” So let’s check them out. When you open a file, there’s a tab with some information about the image. 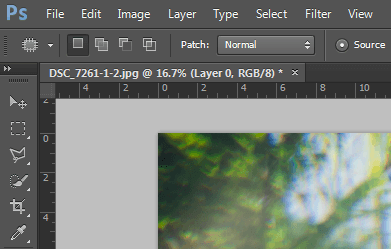 You have the filename, the magnification level, which layer is selected, and the color mode. There’s also an asterisk outside the brackets. Have you ever paid attention to it? It tells you if you’ve added some changes to the image. If it’s outside the brackets, it means there are some unsaved changes. When you save the image, the asterisk will disappear. There’s another useful piece of information in this tab. 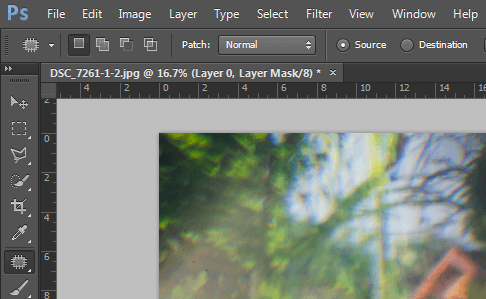 If you create a layer mask, it will tell you whether you’re working in the layer or the mask. Personally, I’ve never paid attention to it, and it’s one of those things always in front of me while working in Photoshop. When you go to File > Open, Photoshop only shows 25 most recent documents. 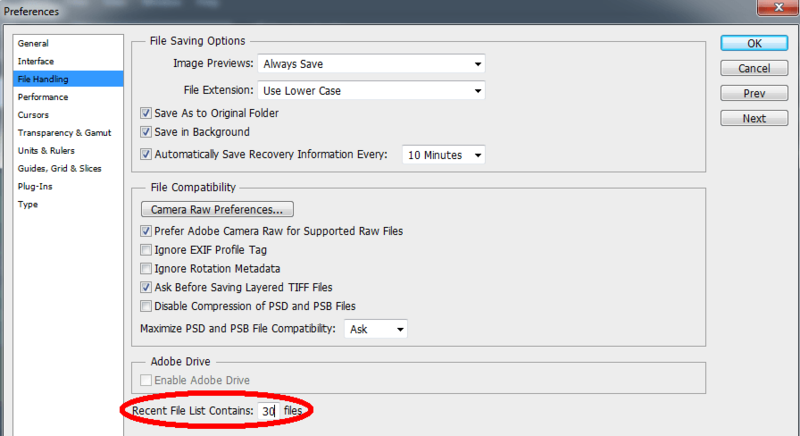 You can change this by clicking on Photoshop > Preferences > File Handling. You’ll see a “Recent File List” section in the bottom, and you can type in the number of images you want to be displayed. 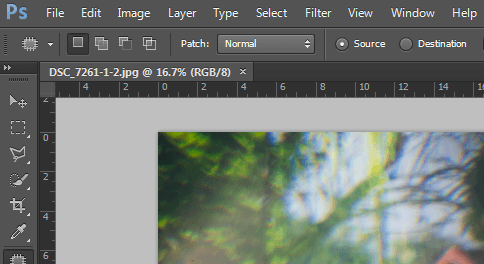 When you work in Photoshop for a long time, you’ll end up with a lot of presets. You can access all of them if you go to Edit > Presets > Preset Manager. 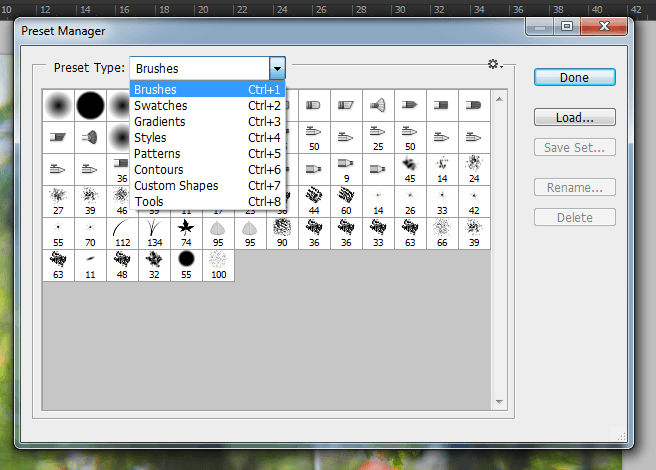 Here, you’ll see all the presets like brushes, swatches, gradients… in one place. From here, you can load them, migrate them, create new sets and so on. If you set a tool and you’re not particularly happy with the result it gives, you can reset it. Right click the tool in the top left corner, click “Reset Tool,” and it will be switched to the default settings. You can also click “Reset All Tools” and all the tools inside the Tool Box will be reset to their default values. 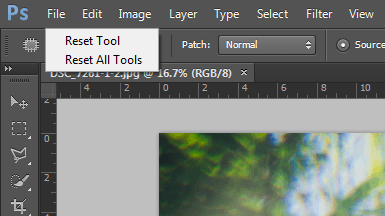 Other than resetting tools, you can even reset Photoshop. This can come in handy if the program starts acting weird, and you can try it before reinstalling the whole program or calling tech support. When you go to launch Photoshop, hold Shift + Alt + Ctrl (Shift + Option + Cmd on Mac) before you launch it. 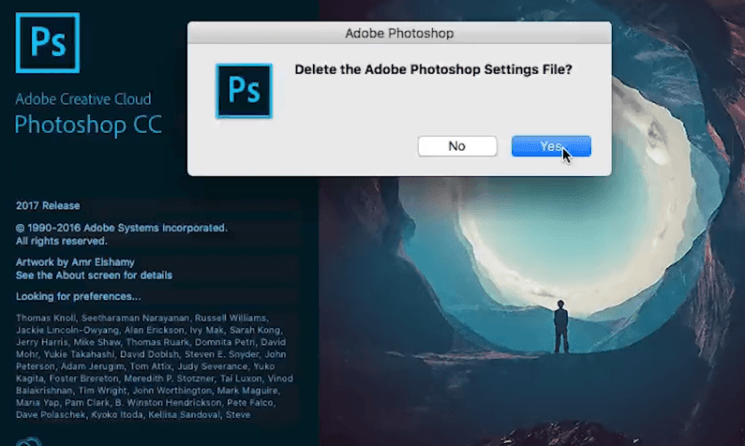 The pop-up will appear asking you to delete Adobe Photoshop Settings File. If you click Yes, the program will start exactly the same as it was when it was first installed. Keep in mind that, if you do this, some of your presets may not display. In that case, access them from Preset Manager from point 3. If you’re working inside of dialog box and want to start over, there are two ways to do it. You can hit the Cancel button and start again. And another way is to hit the Reset button. It’s not visible, but if you hold the Alt key (Option on Mac), every single Cancel button will become a Reset button. Click it, and the adjustments in the dialog box will be reset so you can start over. When you want to see image size, do you go to Image > Image Size? There’s another way to do it, and just like the first point – it’s in front of your eyes all the time. In the bottom left corner, there’s a menu that shows different information about the document. You can choose to view document dimensions (or some other information), and it will be displayed in this tab. 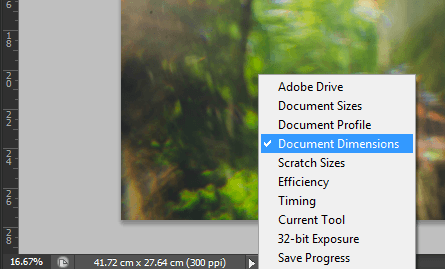 If you want to see the document dimensions in pixels and it’s shown, for example, in centimeters, you can also change that. Click Ctrl (Cmd) + R to turn the rulers on. 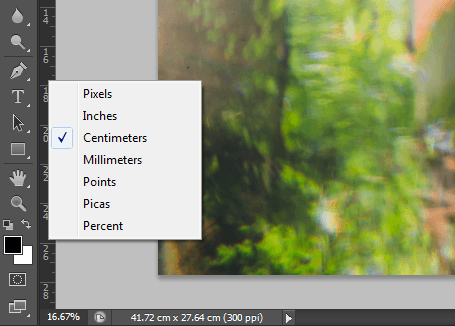 Right click on the ruler, and you’ll get to choose how you want the dimensions to be displayed. 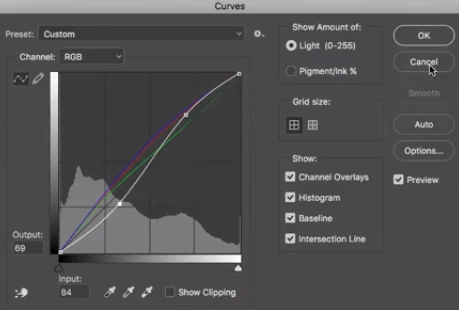 There you have it, seven tricks that could change the way you use Photoshop and make your life easier. I must say I didn’t know about most of these, and it’s funny because a lot of them are right before my eyes. I am not a Photoshop master, so I believe these tips could be super-helpful for people like myself. And why not, maybe even some of you pros have learned something new. So tell us in the comments – have you learned something new from this, or you’ve already known about all of these options?